To program Robobo from ScratchX, it is necessary to follow the steps explained in the initial configuration page. 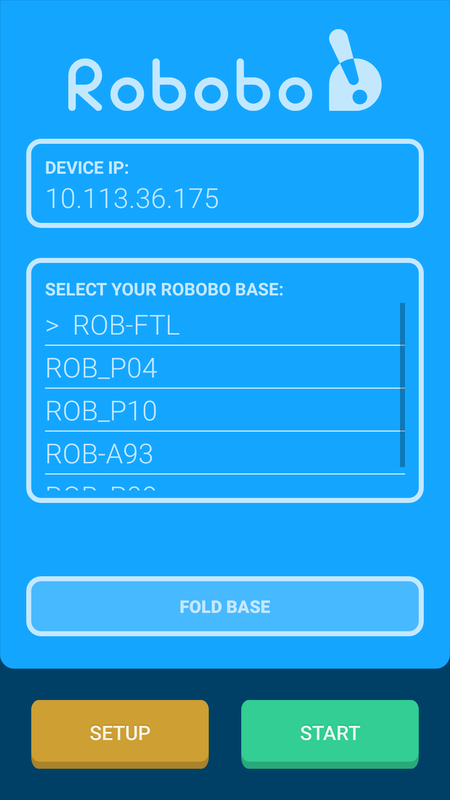 The current page simply shows the different options the app has, but its use to program Robobo is not explained here. It shows, in the upper part, the device IP (smartphone) in the WI-FI to which it is connected (review the steps explained in the initial configuration page) and that it should be used in ScratchX to connect with the computer. In the central area of the screen we can see the Robobo base selection box, which shows a larger or smaller list depending on how many different bases we have connected to the Smartphone before (for the first time, only one Robobo base should be present in the list). The SETUP button allows us to access the different configuration options of the app and the base (they are explained in more detail in the following subsections). This screen represents the programming mode, that is, it will be present while are programming with ScratchX. If we press the back button of the smartphone, we will return to the initial screen. 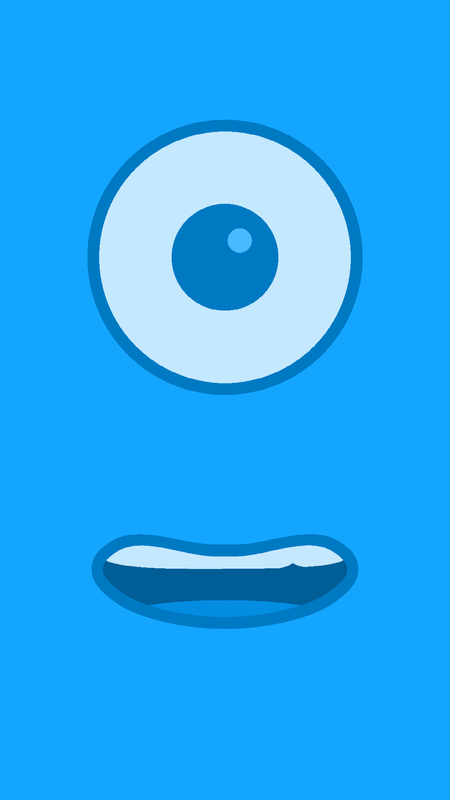 Modify the language used by Robobo’s voice. 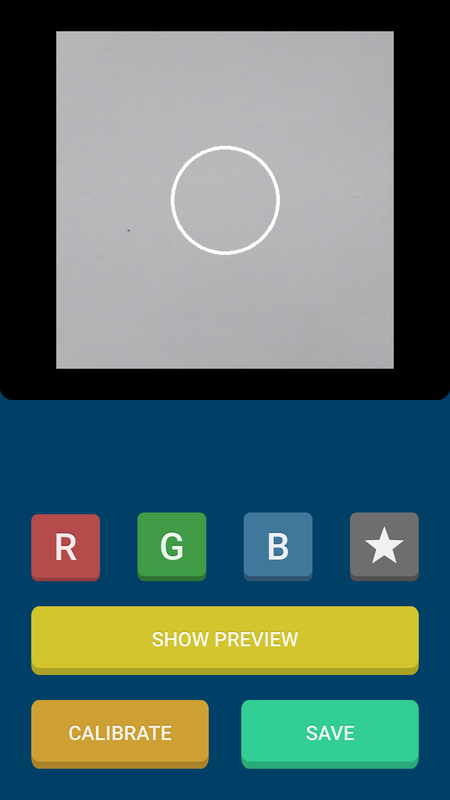 Calibrate the colors detected by the ‘blobs’ sensor. Run the Robobo functionalities tutorial. Reset configuration to default values. View the information about the licenses of the libraries used in the app. Each of these options is explained in more detail in the following sections. It allows to calibrate the colors detected by the ScratchX color blocks. We must select between one of the four colors to calibrate (red, green, blue or customized), fit in the circular area the object of the color to be calibrated, and click on calibrate. This will mean that, until a new calibration is made, the application takes that color reference as the value to be detected. The custom value can be used to add a different color of red, green and blue in the programming. By clicking on show preview, we can see the color that has been stored as reference for calibration. It is important that this preview shows as much of the object as possible. If we click on save, the new calibration is established. This option runs the Robobo presentation tutorial that comes out the first time we start the application. 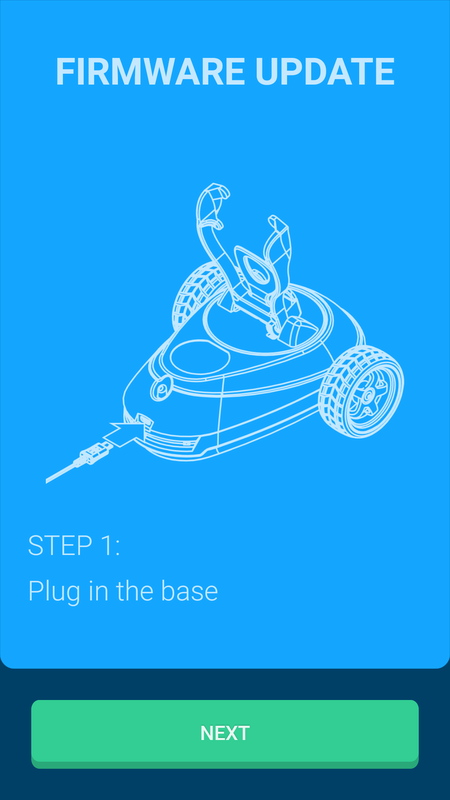 It is recommended the execution of this tutorial with Robobo on the ground, since it will move to show some of its capabilities. 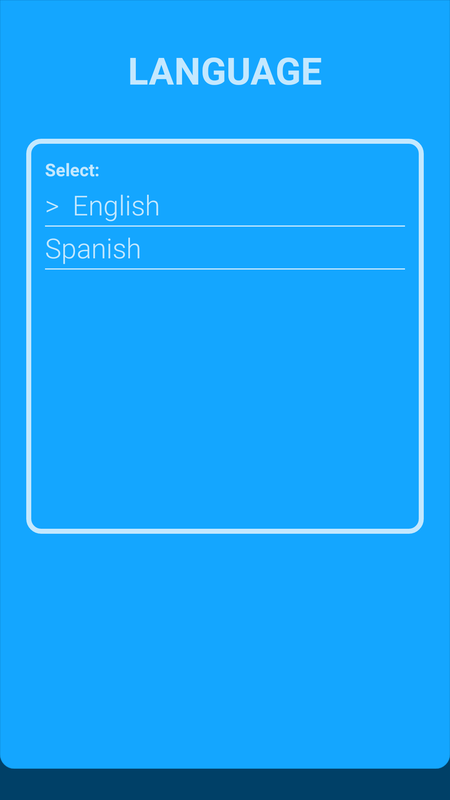 You can exit the tutorial at any time by pressing the back button of the smartphone, which will return the application to the main menu. It enters firmware update mode. 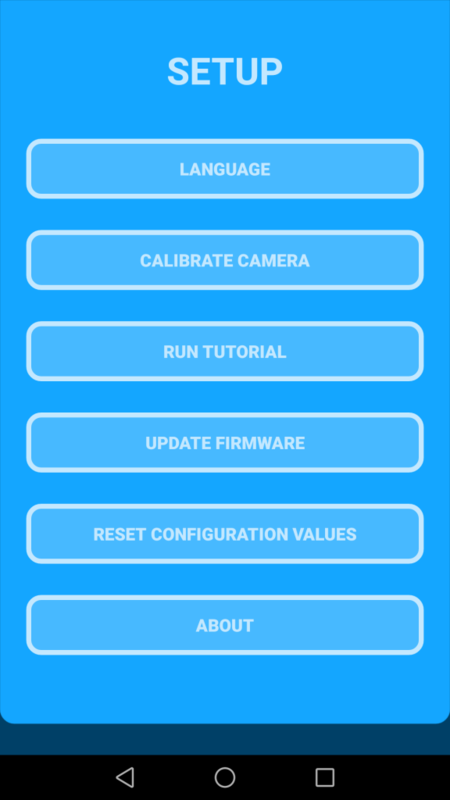 To update the Robobo base firmware, you must follow the indications shown in the different screens of this tutorial. In the first screen, ‘STEP 1’, you must connect the Robobo base to the power supply (it can be connected to a USB port in a laptop or desktop computer, but it is preferable to connect it to an electric outlet). Once it is plugged, then press the NEXT button. 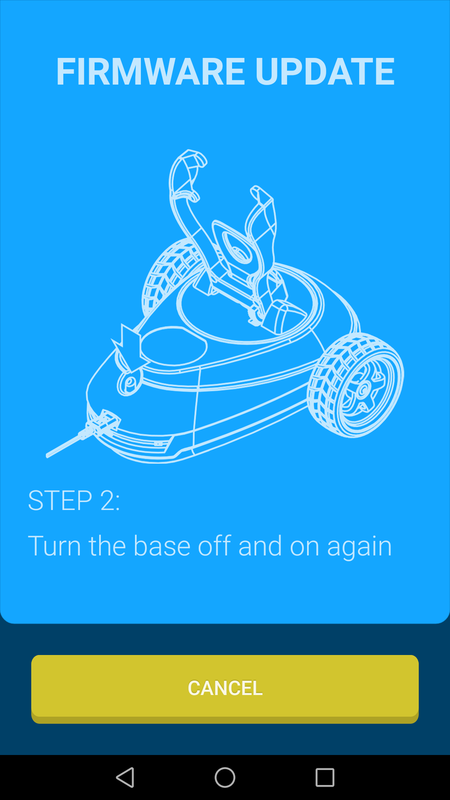 A second screen appears, ‘STEP 2’, and you must turn off and on the Robobo base, without unplugging the power cord. The Robobo base will enter in firmware update mode, which is indicated by a flashing of the left rear LED of the base. Name of the Robobo base to update. 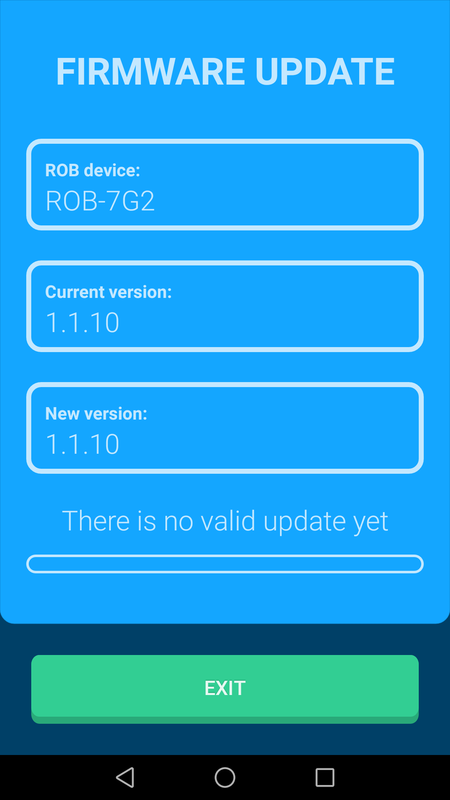 Current firmware version detected in the Robobo base. Version of the latest firmware available. Once the update is completed correctly, the Robobo database will automatically restart with the latest firmware. This option returns the language and camera calibration settings to default values. If a custom configuration of the camera has been made, with this restoration, that configuration will be lost and the default configuration will be returned. 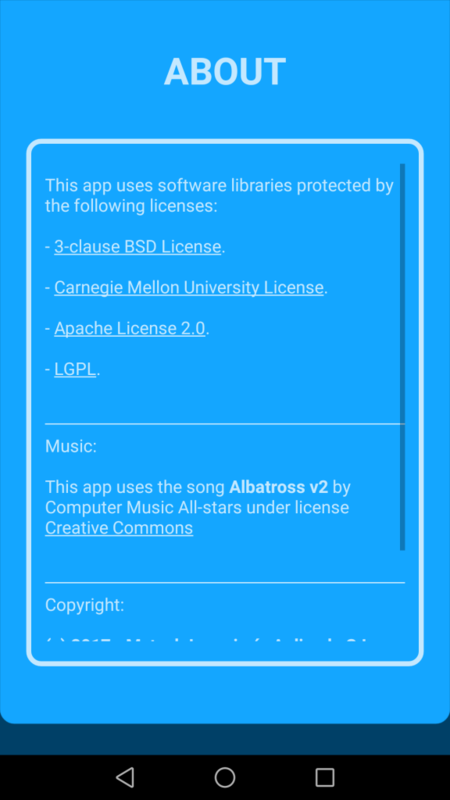 In this option, you can view information about the licenses of the software libraries and music pieces used in the app as well as information about the copyright of the software.